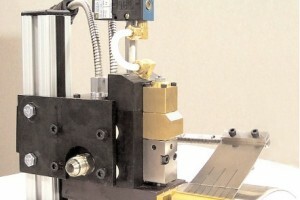 ITW Dynatec's MR1300 High Flow Slot Die Adhesive Applicator Head is an air-open and air-close, single-module. The patented hot melt adhesive applicator assembly allows for right or left hand, as well as up or down, applications, depending on requirements. 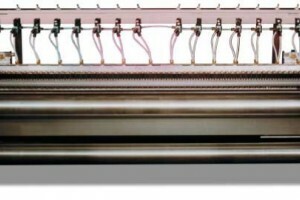 Each of the two zones in the applicator head is heated by replaceable cartridge heating elements which are controlled by an independent RTD sensors. ITW Dynatec's Hot Melt Bag Lamination System provides solutions for those using intermittent or continuous applications to seal bags. Each hot melt lamination system is custom designed to meet specific customer needs, so contact a sales representative today for a quote.